Conservative opposition leader Kyriakos Mitsotakis slammed the leftist-led government for showing “outrageous tolerance” for lawlessness after members of the Rouvikonas anti-establishment group struck in Athens and Thessaloniki Thursday. 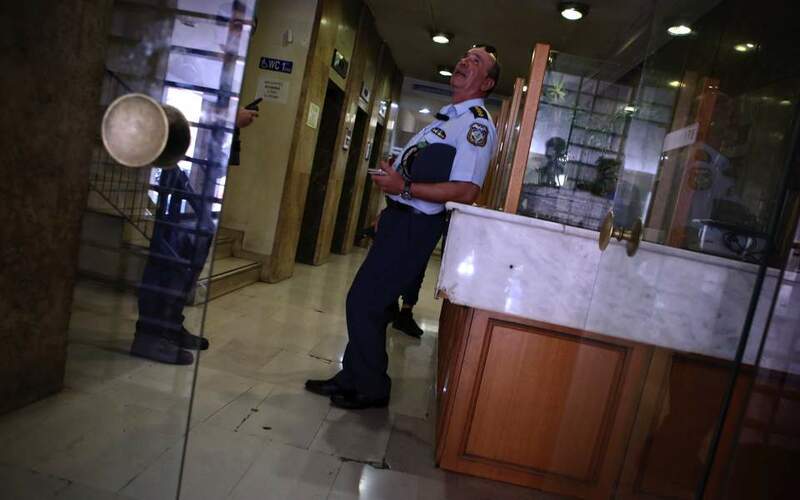 Group members also muscled their way into the building of the Agricultural Development Ministry in Athens, where they also distributed fliers. Police in Thessaloniki detained up to five people after they tried to scatter fliers from the top of the White Tower, a waterfront monument and one of the northern port city’s most recognizable buildings. Thursday’s incidents in Greece’s second-largest city took place amid an increased police presence just days ahead of the launch of the Thessaloniki International Fair (TIF), where Prime Minister Alexis Tsipras will be making his keynote speech on Saturday. “I cannot accept that an entire country is humiliated every week by an organization which chooses to take the law into its own hands and by a government which merely looks on in a provocatively indifferent way,” Mitsotakis said. He added that the government obviously feels that it shares certain ideological and political views with the group. “Perhaps activities of this nature remind it of its own past,” he said.